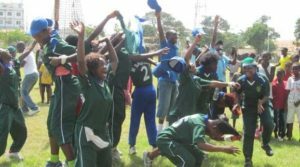 Zimbabwe will host the International Cricket Council (ICC) Women’s T20 World Cup qualifiers after being awarded the rights to host the tournament in May. The tournament which is expected to feature nine teams; Sierra Leone, Kenya, Mozambique, Namibia, Nigeria, Rwanda, Nigeria, Uganda and Zimbabwe, will be played from 3 to 13 May. Although the Zimbabwe Cricket body is yet to make the news public, according to NewZimbabwe.com, the ICC recently confirmed that the Southern African country is going to hosts the qualifiers. The regional qualifier which is named the ICC Women Twenty20 World Cup Africa Qualifier is a pathway to the ICC Women’s T20 World Cup Qualifier and ultimately the ICC Women T20 World Cup. Winners of the Africa qualifier will proceed to take part in the global qualification tournament where they stand an opportunity to make it to next year’s ICC Women T20 World Cup to be held in Australia.